Any instrument is welcome to this session, and players of any age, experience and ability are all welcome and catered for. MFA frequently organise events such as the 'Acoustic Cabarets' giving people the chance to hone their performance skills. We run a free instrument loan scheme giving people the chance to play a wide variety of instruments ranging from autoharp cellos to glockenspiels. Welcome to the Music For All website! We are a community project based around Chorley who aim is to encourage musical participation by providing opportunities to play within a big group and to perform in front of an audience. We believe music is a great social activity to meet new people and is also a great leveller within families. Music For All encourages everyone to experience the fun and challenge of learning to play a musical instrument! We help by loaning out instruments free of charge from our instrument library (slowly but surely increasing with generous donations from our supporters and music for all fundraising!) We can advise on the playing of many of these with our network of volunteers and associate teachers and advisers. No matter what your stage or age, playing music can be an important aspect of your life, rewarding and relaxing. A great leveler within family and social settings, where different generations are both on a learning curve alongside each other. A personal challenge or expression, or a social connection, everyone can gain something from learning an instrument. Instrument lessons in local schools. We liaise with local schools and string teachers to organize Cello and Violin lessons for interested children. We loan the instruments for free! Weekly Folk session. 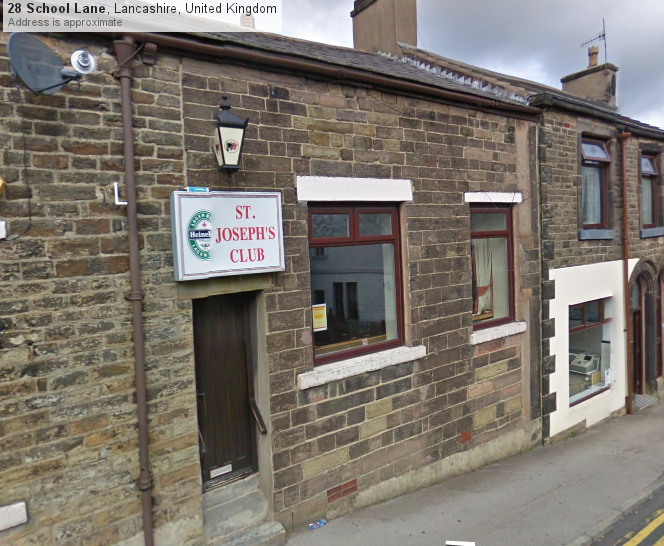 A chance for musical involvement in our local social club, St Josephs in Brinscall. (See below for more info). Children and adults welcome. Monday evenings, 6.30-8.30pm during school term. Free entry! Mfa concerts. We hold a Blackboard concerts in venues in or around Chorley (most often Hollinshead street church hall). Each person wanting to perform something writes their name on the board, and we go down the list with everyone getting a turn! Both children and adults are encouraged to share their latest tune or song with each other in a relaxed setting. Anything goes! Acoustic Cabaret! Now held in Leyland Cricket Club, Fox Lane, an evening of quality entertainment. We organize some guest performers and also invite acts from the floor. There are no restrictions other than the act be competent, fully acoustic and performance ready. Entry is by a donation of your choice, and door takings along with raffle raise funds for Music For All. Increase our library of different instruments available for short term loan to allow people in our community the opportunity to try out a new instrument simply to see if they like it before investing in that instrument for themselves. A Ukelele learning project available to local schools, groups, clubs, classes etc … watch this space! Organised trips to professional music events. Connoisseur concerts of high quality professional musicians. Loads more!… we are open to suggestions and involvement! Every week we run a free learners session where folk tunes are played at a steady pace. Phew! monday night 6.30-8.30pm during school term time. This session is particularly good for family participation where everyone can learn and play together. A good opportunity for adults who play an instrument, but don’t often find the time or confidence to play. Written music is provided for those who need it with melody, harmony, chords and bass lines suggested, and also easy parts for beginners, and Bb and Eb parts available. We encourage learning the tunes by ear as well for those who prefer it or don’t read music fluently. There is a bar open for refreshments during the session! Posted on June 7, 2011 by musicforall.